At last year’s MWC, Energizer showed off the Power Max P16K Pro, which has a 16,000mAh battery. With the successor, the firm has decided to up the power. Energizer says the P18K Pop’s battery, which is around five times bigger than those found in most modern smartphones, allows users to continuously watch videos for two days, listen to 100 hours of music, or talk for 90 hours. It also provides 50 days of standby time. Such a large battery means the P18K Pop is an absolute beast. At 18mm thick, it’s almost three times thicker than an iPhone—you’ll certainly feel this bulging in your pocket. While the battery might compel people to buy the P18K Pop, some of the phone’s other hardware isn’t quite as impressive. It comes with a 2GHz CPU from MediaTek and isn’t waterproof, but there are some modern features: USB Type-C for ‘fast charging’ (8 hours for a full charge), 6GB RAM, a 6.2-inch LCD screen, a triple-lens 12-megapixel rear camera array with depth sensor, Android 9, and a popup dual selfie cam. Additionally, that enormous battery allows it to double as a power bank, letting you charge other devices. 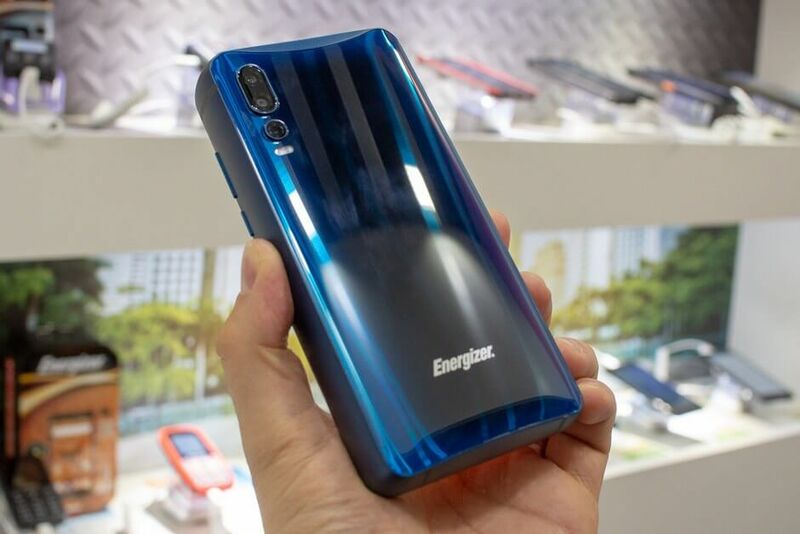 The Energizer Power Max P18K Pop launches this June priced at 600 Euros, which is around $682.